Richard Phillips got hugs and well-wishes from supporters as he was exonerated for a 1971 murder. Things took a turn in 2010, when Phillips’ alleged co-defendant, Richard Polombo, told a parole board Phillips had nothing to do with the crime. 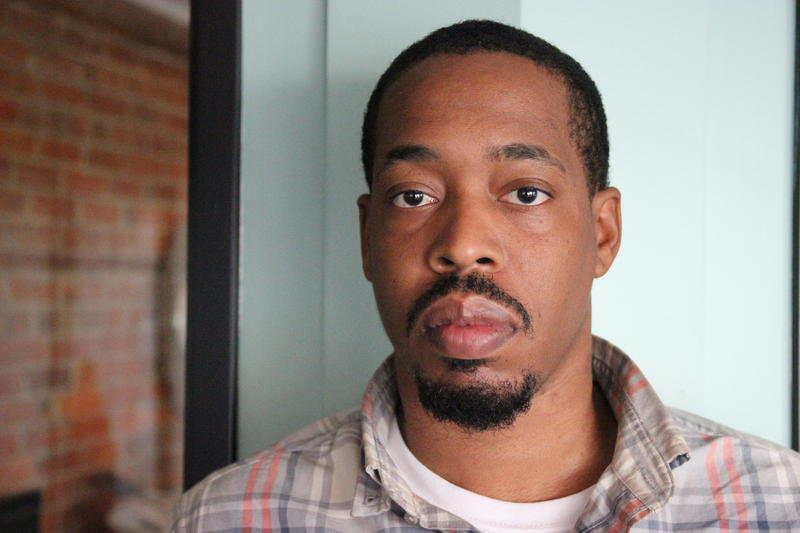 Palombo said that he and the prosecution’s star witness, Fred Mitchell, had actually murdered Harris, and that Harris had conspired to frame Phillips in order to escape conviction after Detroit Police arrested him for another crime. Mitchell died in 1997. That jumpstarted a stalled appeals process, and ultimately led to a new investigation that cleared Phillips of any involvement. 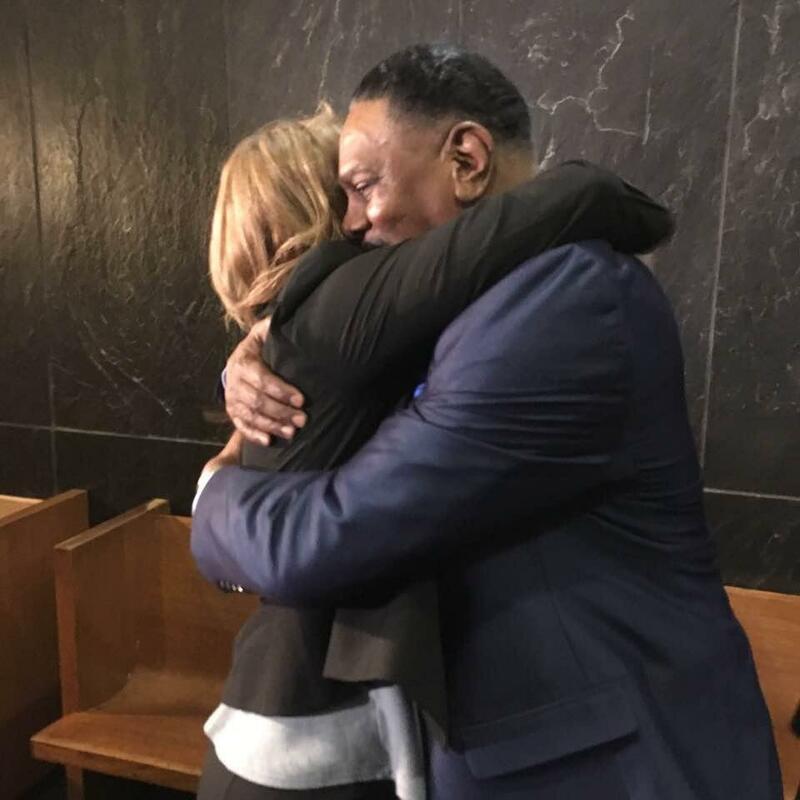 After a judge overturned Phillips’ murder conviction late last year, the Wayne County prosecutor formally dismissed charges against Phillips Wednesday, finally putting an end to a legal and human drama that lasted well over 40 years. Phillips said that it was a relief to finally get legal validation of his innocence on the record. “It kind of touched me. Usually you don’t get judges to pay any kind of tribute to you,” Phillips said. Phillips thanked his lawyer, Gabi Silver, as well as the attorneys and law students from the University of Michigan Innocence Clinic who helped restart his appeal after receiving a tip about Palombo’s surprise 2010 confession. Phillips’ case is the first to be resolved by Wayne County’s new Conviction Integrity Unit. Prosecutor Kym Worthy started that unit to look into alleged cases of wrongful conviction after a series of high-profile Wayne County cases where convictions were overturned after evidence of innocence came to light. Worthy and Newman say the CIU will pursue overturning alleged wrongful conviction cases that meet two criteria: the defendant professes complete innocence, and there’s new evidence to suggest the defendant’s innocence that was never considered by a court. Newman says the CIU has already received more than 200 requests to reopen cases, and is actively investigating 16 right now. Since he was first released on bond in December, Phillips says he’s been painting, attending church, and generally trying to get a grasp on the fundamentals of day-to-day life that have changed dramatically since 1971. Getting ID has been a particular challenge, he said. Worthy says her office will recommend that Phillips receive financial compensation for the wrongfully convicted from the Michigan Attorney General’s office. “I wish him well, but that sounds so hollow,” Worthy said. 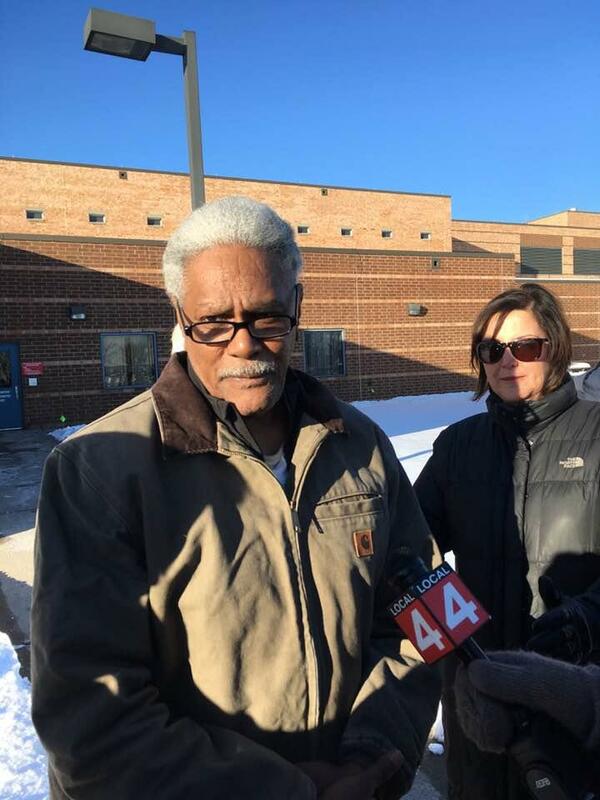 Richard Phillips spent 45 years in prison for a murder he says he didn’t commit. But on Thursday, he emerged a free man--at least for the time being. The first hearings to compensate people who’ve been wrongfully convicted started today, but some left the courtroom unsatisfied. The hearings come after a new law was signed at the end of last year. That law provides for wrongfully convicted people to be compensated $50,000 for each year they were in prison.